Objective: To discuss the rehabilitation nursing care in patients with cerebral infarction about the effect of life ability and nerve function. Methods: 88 patients with cerebral infarction of our hospital were selected from January 2015 to January 2017. According to the method of random numbers, we divided the patients into control group and observation group (n = 44), each group had 44 cases of patients. The control group was taken routine nursing, and the observation group was taken rehabilitation nursing intervention based on the conventional intervention. We compared the neural function and the life ability scores before and after patient care. Results: After rehabilitation nursing, the ability level of the patient’s life of the observation group is significantly higher than the control group (P < 0.05). The neural function score of the observation group patients was significantly lower than control group (P < 0.05). The overall nursing satisfaction of the observation group patients was also significantly higher than that of control group (P < 0.05). The complication rate of the observation group patients was significantly lower than control group (P < 0.05). 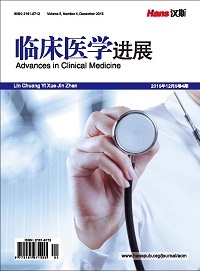 Conclusion: On the basis of conventional nursing, strengthening rehabilitation nursing intervention for cerebral infarction patients can significantly improve the nerve function missing in patients and the living conditions level. The incidence of complications in patients with follow-up is also significantly reduced. The overall nursing work satisfaction is improved. Active rehabilitation nursing intervention is worth to promote. 熊艳, 江育英, 何淑琴, 等. 早期康复护理对脑梗死患者神经功能缺损及日常生活能力的影响[J]. 上海医药, 2016, 37(20): 57-59. 陕海丽, 王妮娜, 支楠, 等. 早期系统化康复护理对老年急性脑梗死患者神经功能缺损和日常生活能力的影响[J]. 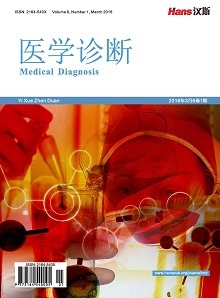 中国实用神经疾病杂志, 2015, 10(23): 143-144. 张晶芳, 朱伟丽. 中西医结合对脑梗死患者肢体功能及生活能力的影响[J]. 辽宁中医杂志, 2015, 1(4): 801-802. 杨晓萍, 裘亚龙. 早期中医综合康复疗法结合护理对脑梗死患者神经功能和日常生活能力的改善[J]. 新中医, 2015, 5(12): 268-270. 覃应焕. 康复护理对脑梗死患者神经功能与生活能力的影响[J]. 内科, 2016, 11(4): 668-669. 李晓杰. 综合护理干预对脑梗死患者生活能力及神经功能的影响[J]. 河北医学, 2016, 22(6): 1041-1043. 孔丽, 宋杏花. 循证护理对老年急性脑梗死病人神经功能缺损和日常生活能力的影响[J]. 全科护理, 2016, 14(25): 2620-2622. 宋怡. 时间护理对住院脑梗死患者神经功能及生活质量的影响[J]. 实用临床医药杂志, 2015, 19(16): 7-9. 钟碧青. 脑梗死患者生活能力状态、神经功能优化中康复护理干预的应用效果观察[J]. 齐齐哈尔医学院学报, 2016, 37(17): 2246-2247. 陈秀, 杨昌美. 康复护理干预对脑梗死患者生活能力状态及神经功能的优化作用[J]. 医药前沿, 2016, 6(5): 18-19. 张智敏, 高建元, 姜雪. 康复护理干预对脑梗死患者神经功能及生活能力的影响[J]. 中国实用神经疾病杂志, 2017, 20(3): 141-142. 曹苏玲. 早期综合康复护理干预对脑梗死患者神经功能和生活能力的影响[J]. 中国实用神经疾病杂志, 2015, 11(17): 119-121. 秦付绕. 康复护理干预对脑梗死患者生活能力及神经功能的影响[J]. 国际医药卫生导报, 2017, 23(12): 1972-1975. 钟全香. 康复护理干预对脑梗死患者生活能力状态及神经功能的优化作用[J]. 特别健康, 2017, 12(17): 118-119. 赵艳芳. 细节化优质护理对脑梗死患者神经功能及日常生活能力的影响[J]. 河南医学研究, 2017, 6(13): 2491-2492.